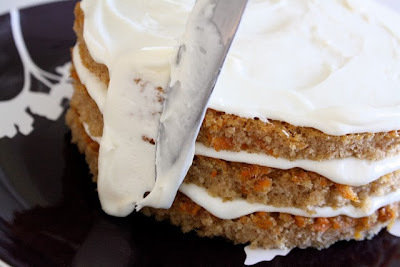 I'm lovingggg this carrot cake recipe right now. Best part? There are step-by-step instructions with pictures included! I don't really know if I've ever even eaten carrot cake before. Mostly because I don't like raisins or nuts. But this recipe doesn't include either of those! Now I'm wanting a piece of cake very badly, but luckily I don't have access to one at the moment. Hopefully I can try this one soon. MMMMMMmmmm. This looks very yummy! Trying not to drool all over myself. I'd much rather be forever in blue jeans..